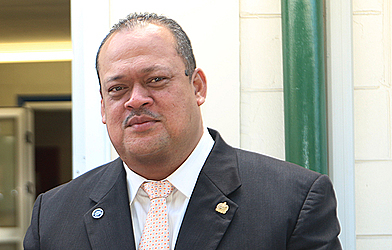 The suspended President of the Land and Titles Court, Fepulea’i Attila Ropati, assaulted a Court Security Officer because he was drinking alcohol when he was supposed to be working. This is revealed in Judge Alalatoa Rosella Papali’i’s ruling where Fepulea’i was discharged without conviction. The Office of the Attorney General has since appealed the decision. But a copy of Judge Alalatoa’s sentence details that Fepulea’i was upset Security Officer, Saili Leota, was drinking when he should have been on duty. “Fepuleai, your version of events is summarized in the PSR. It states you had gone home to rest after work that day and returned to join your colleagues at this social function at around about 6 -6.30pm,” the ruling reads. “During the party you observed the victim drinking. So you sent Jeanne Ah Ching (“Jeanne”) a court officer to inform him not to drink as he was supposed to be working. You also recall previous occasions of telling off the victim for doing the same thing. “Later on, you saw that the victim had not heeded your advice as he was still drinking. “Towards the end of the party, you had had about 6 glasses of white wine and making your way out when you coincidentally came across the victim who was still drinking at a table near the door. Fepulea’i was represented by former Attorney General, Aumua Ming Leung Wai while the prosecutor was Rexona Titi of the Attorney General’s Office. 1. Fepuleai Atilla Ropati (“Fepuleai”) you appear for sentence on the sole charge of causing actual bodily harm with intent on Saili Leota on 15/12/17 contrary to s119 (1) Crimes Act 2013 (“CA”). The charge attracts a penalty of a maximum of 7 years imprisonment and was first laid in this Court on 5/02/18. However, an additional count of grievous bodily harm (“GBH”) was filed on 13/02/18 and at the mention of the matter in this Court on 13/03/18, Prosecution sought for the file to be transferred to the Supreme Court given the lack of jurisdiction. This was done. 2. At the hearing of the matter in that Court on 25/04/18 before Justice Clarke, Prosecution sought to withdraw the GBH and other alternative charges, thereby leaving this one to which you changed your plea. The file was again referred to this Court to deal with sentencing and was to be called for mention on 1/05/18. 3. On 30/04/18 after 5pm, I received in chambers a Memorandum dated 25/04/18 by Defence Counsel copied to the Prosecution seeking if the mentions set for 1/05/18 could be disposed with and if we could proceed direct to setting a sentencing date; a meeting in chambers was also sought. As I had only received the memorandum, I instructed my associate to email both counsel that a chambers meeting will be held at 9am the next day. 4. At this meeting (1/05/18), Ms Titi sought a 2 weeks adjournment as she had other work commitments. Mr Leung Wai asked for this matter to be resolved at the earliest for obvious reasons. From this meeting the timetable for filing sentencing documents was set, a pre-sentence report ordered and the sentencing date set for Thursday 10/05/18 at 12.30pm. Fepuleai’s appearance was excused. 5. However, I received on Monday 7/05/18 a letter dated 4/05/18 from Ms Titi seeking if they could have an extension of one to two weeks to file their sentencing memorandum as she had an assessor trial commencing the next day. On the same day towards the end of business, I received a Memorandum from Mr Leung Wai strongly opposing the application for an adjournment. I called a meeting in Chambers the next day to discuss this and for both counsel to indicate whether there were any issues with the sentencing documents filed to date. 6. At this Chambers meeting (8/05/11) I informed counsel I have perused their respective applications and proceed to hear further from Ms Titi. She reiterated the points she raised in her letter for an extension and that the matter was one of public interest requiring adequate time to prepare and respond to Mr Leung Wai’s comprehensive submissions. As I clearly indicated to both counsel, I can understand the application for an extension if Ms Titi was a “lone ranger” practicing on her own. But this is the office of the Attorney General with all the resources at their disposal unlike a sole practitioner in the private sector. She also has other colleagues she could delegate her duties to assist with the preparations. 7. I also impressed on counsel that in terms of the reference to the hastiness with which this matter has been dealt with, it is to be expected. A lengthy adjournment is not in the public interest. I was also mindful of the Prosecution’s own conduct of the case given it was before this Court then they decided to file a more serious charge resulting in the transferral to the Supreme Court. But that charge was later withdrawn and dismissed and the file ended up again in this Court. Had it not been for the choices they made, this would have been concluded by now. Perhaps with the benefit of hindsight this could have been averted. I also note Prosecution had sought twice now for more time to prepare. 8. As for the reference to the comprehensive submissions by Defence counsel, the application for a discharge was not novel either and there was time to prepare being mindful that Prosecution had dealt with numerous applications of this nature over the years. In the spirit of assisting Ms Titi with her research, I reminded her that she had submitted comprehensive submission for a similar discharge application in the recent case of P v Vaimaila Salele, including more than 10 pages of a chart summarizing sentences for this type of offending. 9. Regarding the public interest, Ms Titi did not clarify what she meant by this but from her explanation it seemed to weigh more on the public’s perception of the position Fepuleai holds. I reminded counsel Fepuleai is not charged with injuring the victim in the execution of his duties as the President of the Lands and Title’s Court (“LTC”). It was at a social function. But I also expressed the view that the public interest similarly requires that a sense of justice must always prevail. I add here that it also requires that this matter be expedited speedily. Inordinate delay is not in the public interest at all (at least from the tax payers view point) especially since Fepuleai has been on leave with pay from his position as LTC President since 1/03/18. So I appreciate there is a sense of urgency in resolving this matter to save resources and so there is finality and certainty to all concerned. 10. Both Counsel were questioned about whether they had any issues with the sentencing documents filed to date. They were specifically asked about Fepuleai’s version of events in the Pre- sentence Report (“PSR”) which suggests provocation and how this fared against the Summary of Facts (“SOF”). Mr Leung Wai, informed that he disagrees with the sequence of events and that Fepuleai’s version as relayed to Probation was the correct one in that he had asked the victim why he was still drinking but he laughed at him. Fepuleai then reacted by hitting him on the head with the bottle. Ms Titi conceded this but she maintained her argument that it did not amount to provocation. When asked if there will be an amendment to the SOF to reflect this, Ms Titi replied that she and Mr Leung Wai could discuss this. Both agreed that the question of weight (if any) I place on provocation if I accept this, is solely for me to decide. 11. There were no issues with the Victim Impact Report (“VIR”). At the end, I granted Ms Titi a two days extension until 4pm Thursday, 10/05/18 to file their sentencing memorandum and the Court will proceed to sentence the next day at 2 pm after hearing both counsel in open Court. The previous sentencing date was vacated. 12. Today, I received more documents in Chambers just before the sentencing hearing; a response by the Defence to the Prosecution’s sentencing submission and a memorandum in response to that by the Prosecution. In regards to the former the Defence inter alia raised concerns that in Chambers on 8/05/18, Ms Titi had agreed to the sequence of events in the PSR as discussed in 10 above from which the Defence then based their submissions. Ms Titi however in their memorandum disagreed and recounted her recollection of this material aspect saying that her response was more in line with that she would look into it if it will require the calling of evidence. I decided to hear more from counsel on this aspect and other issues in open Court. During the sentencing hearing today, both counsel were given the opportunity to address the Court where they reemphasized their views as set out in the memorandums referred here. 13. For my part, in accordance with my file notes, I am in agreement with the Defence about what transpired in Chambers in that Ms Titi did accept that the victim had laughed after Fepuleai questioned him before he hit him with the bottle. In fact it is plausible and makes more sense as the victim cannot have said to laugh after he was hit with the bottle. There was no indication from Prosecution that they may have to call disputed fact evidence on this aspect because if that was the case, I would have set down the matter for a disputed hearing. But it was left to Ms Titi and Mr Leung to discuss if an amended SOF along those lines should be submitted. The words Ms Titi had used were “we are open to discuss this”. All this however is peripheral to the main fact that Fepuleai did hit the victim with a bottle which he does not dispute. The point of all this is, Prosecution should stick to what they say whether it be in Chambers or in open Court as it goes to the core of the utmost duty of any counsel to the Court. 14. Having heard from counsel, I decided to proceed with the sentence as I was clear of what was agreed on at the Chamber’s meeting. In any event the issue of provocation is one of the factual assessments I am required to make on the materials before me if it was present at all. What weight (if any) I allot to it and inferences drawn is solely for me to decide. 15. I have here reproduced the bulk of the SOF and the circumstances of the offending from Fepuleai’s version in the PSR to reflect a more balanced SOF. 16. According to the SOF, on the night in question 15/12/17 the Ministry of Justice (MJCA) had their end of year function in the judiciary’s common room at the Court complex Mulinuu attended by members of the judiciary and staff. Fepuleai was present at this function. The victim a night watchman was doing his security rounds of the building and compound. But he also attended the party. At about 9pm that night, the party was approaching an end, and most of the Judiciary has taken their leave. Fepuleai and another LTC Judge were the last remaining Judges, together with some of the staff who were finishing their drinks and others cleaning up. At this time, the victim had completed one of his rounds of the building and compound, and returned to the party. He sat at one of the tables, and a staff member who was at the bar approached him and gave him some beer. He continued to sit at the table with his beers, whilst watching and laughing at other staff members who were dancing and enjoying themselves on the dance floor. In the meantime Fepuleai was outside with the other LTC Judge. 17. Not long after the victim was sitting at the table, Fepuleai and the other LTC Judge returned inside the room, and the latter curtsied to a female staff for a dance. According to the SOF Fepuleai walked towards the victim and stood in front of the table where he was. He then reached for a half empty bottle which was on the table, and struck the victim on the top of his head with it. The bottle shattered into pieces. The victim was taken by surprise and he looked at Fepuleai. At that time, Fepuleai said to the victim, “faiaku foi e aua e ke igu”. Fepuleai upon saying this reached for another half empty bottle and aimed a second strike at the victim. However, he was able to block this with his hand breaking it into pieces. He then stood up from his chair to leave, but Fepuleai threw a punch which the victim managed to evade and he quickly walked out of the room. “On examination, the scalp has old cuts evidence with pus suggestive of old wounds greater than 24 hours. There were no other visible injuries sited and a scalp x-ray was not done as there are no neurological deficit or complaints”. 20. According to the SOF on 2/01/18, the victim was still feeling unwell, and his wife took him to a private Doctor for a check-up. He was prescribed more medicine to help with the pain and healing process. 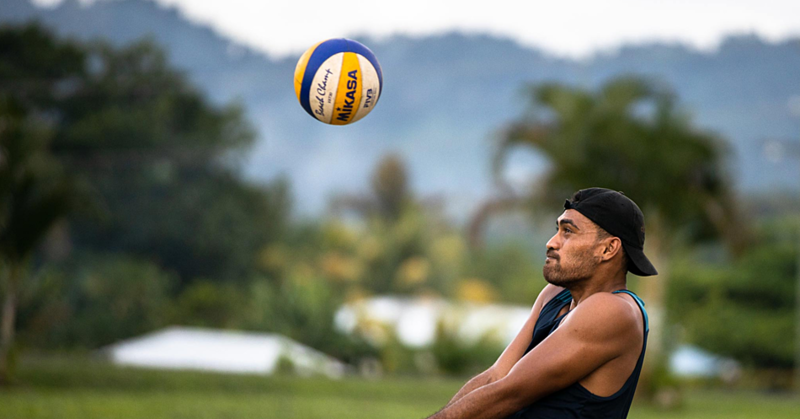 On 5/02/18, Fepuleai was cautioned and interviewed by police at the Apia station and subsequently charged. 21. Fepuleai, your version of events is summarized in the PSR. It states you had gone home to rest after work that day and returned to join your colleagues at this social function at around about 6 -6.30pm. During the party you observed the victim drinking. So you sent Jeanne Ah Ching (“Jeanne”) a court officer to inform him not to drink as he was supposed to be working. You also recall previous occasions of telling off the victim for doing the same thing. 22. Later on, you saw that the victim had not heeded your advice as he was still drinking. Towards the end of the party, you had had about 6 glasses of white wine and making your way out when you coincidentally came across the victim who was still drinking at a table near the door. You told him to stop drinking however the victim responded by laughing at you which triggered your anger. You then grabbed a bottle of beer that was on the table and hit him on the head causing the injury you are now charged with. 23. Your personal background Fepuleai is well canvassed in your PSR. You are 49 years old married with 3 children. You were born and raised in Iva Savaii but moved to Upolu where you continued your education at Vailoa Faleata Primary School, then Leifiifi Intermediate, Samoa College and UPY. You were successful in attaining a scholarship from UPY to study a Bachelor of Arts degree in History and Political studies and graduated from that in 1990. From there you worked as a senior research officer for the Lands and Titles Court (“LTC”). You were awarded another scholarship to study your bachelor of laws in Fiji which was completed in 1999 together with a professional diploma in legal practice. Upon your return you worked as an ACEO for the MJCA until you decided to try private practice at the Firm of Petaia Law Chambers. 24. After there, you then became the manager for the legal division of Samoa Airports Authority and at the same time undertook an advance diploma in business management from the University of New England and successfully completed it. You were appointed the Clerk of the Legislative assembly for 3 consecutive terms. During this time you also managed to achieve another qualification namely a graduate certificate in Parliamentary Law from the University of Tasmania again via correspondence. Whilst in the final year of your third term, you were appointed as President of the LTC, a post you hold to date whilst on special leave as granted by the Judicial Services Commission (“JSC”). 25. Your father passed away leaving your siblings and mother whom you continue to assist with her daily care. You are also a deacon of your Church, a matai in your family and village and heavily involved in communal activities. 26. The 9 testimonials submitted on your behalf speak volume of your distinguished and esteemed character and that you are community spirited. 27. The victim is Saili Leota a 55 year old male Manono- Tai and Lalovaea. He is married with 7 children and has worked at MJCA for 26 years as a night watchman. 28. The VIR states that he suffered physical, emotional and psychological harm. He also spent money on medical bills. He stated he had hidden the incident from his family as he did not want them to know about it also because he felt sorry for you Fepuleai. Although he is hurting from the incident he has forgiven you, He otherwise leaves this matter to the Court to decide. 29. The aggravating factors I must consider are those set out under s7 (1) SA as applicable and I am entitled by ss 4 to take into account any other not covered under that provision. I accept that here the victim suffered physical, psychological and emotional injury. The strike was aimed at the head area which is a vulnerable part of the body. The assault resulted in a head wound but for the reasons I will discuss later, I do not regard the injury as serious. Your reaction involved violence mixed with alcohol and the use of an object to hit the victim. I accept there was some embarrassment caused to the victim given the assault was witnessed by other work colleagues. 30. I do not accept the suggestion by Prosecution there was premeditation, as if to say that you had sought out the victim with the intention to inflict harm. There is nothing to suggest that your mood was drawn to the victim. You were at this social function to enjoy a drink and company of your peers. If anything this was a brief spur of the moment reaction. I accept what you said Fepuleai to Probation that you were on your way out when you coincidentally came across the victim still drinking thereby sparking your anger. 31. Prosecution says there was an element of discrimination in that the assault was inflicted by you Fepuleai as a person of authority and that you looked down on the victim as a mere security guard resulting in the victim feeling inferior or belittled. I believe this is misconceived. Discrimination as an aggravating factor would be more in line with situations set out under s7(h) SA including inter alia race, gender identity, age, sexual orientation, religion, nationality and disability. But feelings of belittlement and embarrassment are more aligned with emotional and psychological harm. If anything I infer from the facts that your reaction Fepuleai, was not out of your exercising any form of authority but more to do with your concern that the victim was drinking whilst on duty. 32. There are no aggravating factors personal to you as an offender as you are a first time offender. 33. The mitigating factors are also set out in s7 (2) SA and others I consider relevant. In your favour, I take into account that this involved poor error of judgment. There were other options open to you such as reporting this to the CEO so he could discipline his staff member who should not have been drinking in the first place whilst on duty. But you took matters in your own hands. You lost control and I agree with the Probation, your rage got the best of you. Perhaps if you had cast your mind to the important position you hold and the high respect and expectation that our people naturally affiliates/attaches to that position as with any Judge of the Court or public figure, this unfortunate incident could have been averted. Whilst I accept you committed the offence whilst under the influence of alcohol, this however is not a mitigating factor under s7 (3) SA. 34. There was also an element of Provocation inferred from a combination of factors including your telling the victim via Jeanne not to drink as he was on duty but he continued. Then when you pumped into him at the end on your way out he was still at it. You confronted him but he reacted by laughing. Generally speaking, the presence of provocation is an important aspect in assessing an accused’s degree of criminality or culpability. But here, I regard the degree of provocation as low. It does not in any way or form excuse your conduct. 35. You cooperated with Police in their investigations, changed your plea at the first reasonable opportunity thereby reducing costs, trauma and inconvenience to the victim and witnesses. It also shows your willingness to accept responsibility. You self referred yourself to counseling following the incident. You are also given credit for your eagerness in resolving this matter speedily rather than prolonging it. 38. This matter given your status as a public figure and position as President of LTC has attracted much publicity. You have been subjected to public ridicule and stigma as well as adverse publicity. I will allow credit for that. 39. Prosecution in their sentencing memorandum reemphasized in Court today recommended that a term of imprisonment is warranted. They propose a starting time of 4 ½ years as appropriate. But if the Court is considering an alternative sentence, then a conviction and an appropriate sentence to reflect the gravity of the offending as well as the principles and purposes of sentencing. 40. With imprisonment in mind, Prosecution invited this Court to consider adopting the R v Taueki approach to this case and offences of this nature. A proposal of appropriate starting time bands is put forth which basically slashes in half the bands in Taueki namely band 1, 1½ years to 3 years; band 2, 2½ years to 5 years and band 3, 4½ years to 7 years. Defence strongly opposes this arguing inter alia that bands are only appropriate where offences are serious and carries longer imprisonment terms. 41. How Prosecution came to their calculation of band times I do not know. But what I do know for sure is that I am not going to entertain a full analysis of the propriety of applying Taueki to this matter today for the simple reason that I do not believe that the circumstances of your offending here Fepuleai, warrants imposing a custodial sentence. I have dealt with far worse case scenarios compared here involving higher degree of violence coupled with serious injuries both in my practice at the Bar and now on the Bench and Defendants have gotten off with non custodial sentences. But Prosecution seems to just slash the bands in half suggesting inter alia it makes sense given the approach by the Supreme Court to GBH offences. 43. So I reject the proposal by the Prosecution to apply Taueki a GBH case to the circumstances of this case. I am baffled as to why this is put fourth now as opposed to other cases of this nature that came before this Court. I bear in mind that the circumstances of cases under s119 CA like here and sentences imposed vary significantly from those of GBH to which our Supreme Court in some cases have adopted Taueki. If there is any material before me which illustrates this point it is the chart annexed to the Prosecution’s sentencing memorandum summarizing cases of this nature and sentences that were dished out. Of the 27 cases listed, only one P v Panapa received a custodial penalty. The other 26 were non custodial sentences ranging from, conviction and discharged, pecuniary sentences, suspended sentences, supervision, and probation and community terms. But I am also very much aware of cases where accused had gotten off with a discharge without conviction such as P v Fepuleai and Salele I will elaborate on these cases later. 44. Your Counsel Fepuleai requested that you be discharged without conviction under ss69 & 70 SA and that a payment of costs is appropriate. Prosecution strongly opposes the application arguing that the circumstances of the offending warrant the entry of a conviction. 45. The main issue therefore for me to decide Fepuleai is whether you should be discharged without conviction. I now turn to consider this. 46. Section 11 (1) (a) SA provides that where an accused has pleaded guilty, then before entering a conviction and imposing sentence, the Court must consider whether the accused would be more appropriately dealt with by a discharge without conviction under ss69 and 70. “69. Discharge without conviction-(1) If a person who is charged with an offence is found guilty or pleads guilty, the court may discharge the defendant without conviction, unless by any enactment applicable to the offence the court is required to impose a minimum sentence. (2) A discharge under this section is taken to be an acquittal. 48. In Lauina as well, I conducted a comparative analysis of NZ authorities from which the learned CJ Sapolu in P v Papalii and Moalele (“Papalii”) adopted the three step approach derived from the NZ Court of Appeal case of Fisheries Inspector v. Turner and confirmed in subsequent cases such as Police v Roberts, R v Hughes, Z v R, and DC v R . I concluded that the enactment of ss 69 and 70 SA did not create a new threshold test for the exercise of the discretion to discharge an Accused without conviction. iii) Step 3 - whether those consequences are out of all proportion to the gravity of the offence identified at step 1. 50. The above three step approach is normally referred to as the disproportionality test and is effectively a jurisdictional test. This is the same approach to ss106 & 107 NZ Sentencing Act. I followed this approach in Lauina and subsequent cases such as P v Annandale , P v Lagaaia and recently Salele. 51. As I observed in Lauina taking guidance from NZ authorities, s70 SA mandatorily requires that before a Court exercises its discretion to discharge an accused without conviction under s.69 SA, it must firstly be satisfied of the disproportionality test i.e. whether the consequences of a conviction would be out of all proportion to the gravity of the offence. 53. In assessing the first stage, the Court of Appeal did consider the gravity of the offending, then the consequences and finally whether these were out of all proportion to the gravity of the offending. This is the essence of the three step approach to determining the disproportionality test our Courts have adopted since Papalii. Then at paragraph 71 of the judgment, the Court of Appeal then turned to the second stage which involved considering the overriding or residual discretion under s69 whether a discharge is appropriate which they found it was. 54. This is what I meant earlier by the two staged inquiry that unless the gateway to the disproportionaliy test under s70 is passed, only then will a Court consider the second step under s69 of whether an Accused should be discharged without conviction. A review of NZ case authorities relating to their corresponding ss 106 and 107 confirms that it remains a two staged inquiry and that the disproportionality test still requires that the three step test be met. 55. I will now turn to consider the three step disproportionality test under s70 SA. “ when considering the gravity of the offence, the court should consider all the aggravating and mitigating factors relating to the offending and the offender; the Court should then identify the direct and indirect consequences of a conviction for the offender and consider whether those consequences are out of all proportion to the gravity of the offence; if the Court determines that they are out of all proportion it must still consider whether it should exercise the residual discretion to grant a discharge without conviction (although as this court said in Blythe, it will be a rare case where the Court will refuse to grant a discharge in such circumstances). 57. This approach was applied by the NZ Court of Appeal in DC v R and subsequent cases such as Ji v R, Edwards v R and Maraj v Police . Although persuasive, I adopted it in Lauina, Annandale, Lagaaia and recently Salele. I will now address the aggravating and mitigating factors relating to the offending and you Fepuleai as an offender as required under Z v R.
58. Prosecution at paragraph 42 of their submission drew the Court’s attention to the aggravating factors which in their view are critical. They contend the offence is serious and degree of violence grave. Defence suggests that the gravity tips more towards the middle range of the spectrum. I remind myself that I must assess the gravity in relation to your particular offending and not how it measures against other comparable cases. 59. At the outset, having considered all circumstances of the offending including the aggravating and mitigating factors, I assess the gravity of the offending to be low to moderate and I explain this further below. 61. The charge you face Fepuleai attracts a penalty imposed by Parliament of no more than 7 years imprisonment. So in terms of penalty it is serious. But this is not the sole determinant factor for establishing the seriousness of the offending or your level of culpability. “The Crown Prosecution Service Charging Standard advises that minor injuries justify a charge of common assault, rather than assault occasioning actual bodily harm. They include grazes, scratches, abrasion, minor bruising and swellings, superficial cuts and reddening of the skin. Unlawful violence taking this relatively minor form can result in death and a conviction for manslaughter. The same Charging Standard indentifies the kind of injuries which should lead to a charge of assault occasioning actual bodily harm. They include loss or breaking of a tooth or teeth, extensive multiple bruising, displaced broken nose, minor fractures, temporary loss of sensory function, which may include loss of consciousness, and minor, but not superficial, cuts of a sort which might require medical attention in the form of stitching. Grievous bodily harm is concerned with serious injuries”. 63. It is convenient at this point to discuss the injury as it is a relevant factor to consider here especially since Prosecution argues it is serious. As seen from the materials before me, the victim had hidden the wound from his family. However 12 days later on 27/12/17 he still felt discomfort and pain so he went to the doctor. As described in the medical report on examination of the scalp it had old cuts with pus suggestive of old wounds greater than 24 hours. There were no other visible injuries. The scalp was shaved and on examination by the registered nurse she found shards of glasses stuck on the wound which in her view aggravated the pain the victim said he felt. 64. The medical report does not say how deep or wide the wound was as is common with this type of report. But I infer the wound must have been a minor laceration and therefore surface. If it was deep and severe the doctor would have been alarmed and ordered a scalp x-ray due to the likelihood of scalp penetration. But that is not the case here. According to the doctor a scalp x-ray was unnecessary as there were no neurological deficits or complaints and I infer from this the scalp was not affected. 65. This of course is contrary to what the victim said in his VIR that ever since the incident he felt discomfort and dizziness at the area of impact on his head and he would try to treat it by rubbing. He also felt stiffness on his head going towards his neck. Then in the PSR he alleges he suffered permanent head injury. I believe this is overly exaggerated. If any of these were true the Doctor would have definitely ordered a scalp x-ray as it would give a conclusive assessment of any potential or actual internal injury to the nervous system and brain that may result in say for example a haematoma or a haemorrhage. But as I said above the Doctor observed there were no neurological complaints from the victim himself bearing in mind this was 12 days after the injury. If he had suffered such complications, the victim would surely tell the doctor. 66. I am no doctor but common sense and my own general knowledge tells me that because the wound was left untreated and exposed over 12 days with bits of glass stuck on it, it became infected, collecting pus thereby exacerbating the pain as observed by the nurse. This of course brings to the fore the victim’s own conduct and inaction post incident in not receiving immediate treatment. The fact he did not act to mitigate the harm on his person by not immediately seeing the doctor aggravated the pain and harm he felt. This is not to condone your own actions Fepuleai as but for your loss of self control this would not have happened in the first place. 67. The victim also said he saw a private doctor 5 days after his first visit as the pain persisted. However, there is no medical report to substantiate this. I will not place much weight on this part of the VIR and those in 65 above although the Defence did not raise any issues with it. I also bear in mind what was said in Singh v Police that the Court should be careful not to place too much weight on the views of the victim in assessing the gravity of the offending. 68. So in accordance with the above assessment and guideline in Appleby quoted in Niko on the types of wounds that would attract a prosecution for an ABH charge, which for convenience ‘include …minor, but not superficial, cuts of a sort which might require medical attention in the form of stitching” it is arguable that none of these are present here. The victim did not lose consciousness or suffer from concussion after he was hit. In fact he retaliated after the first hit by blocking the second blow. Then he walked off. There is nothing before me to say that if he had seen the doctor immediately stitches would have been required. On this analysis therefore, it is arguable that the injury borders on assault on the high end of the spectrum. At the most serious, actual bodily harm under s119(2) CA given the injury did interfere with the victim’s health and comfort requiring medical attention . Whatever way one looks at it, you were reckless Fepuleai. 69. Apart from the above analysis, I also say this for two reasons. Firstly as mentioned earlier, the medical report does not sufficiently inform of the extent of the wound as to how deep and wide it was. There is an inconsistency as well. The medical report refers to the injury as cuts imputing there was more than one wound. But the registered nurse refers to it in the singular as “o le manu’a”. It is not for me to marry this inconsistency. But it can be inferred that the nurse had a closer look at the injury as she was the one who shaved it and applied the dressing so her observation “o le manu’a” is plausible and makes sense. 70. The second reason is by cross checking this with one other case namely P v Tualagi Paul a sentencing decision by Judge Roma on a charge of common assault. There the Defendant was originally charged with actual bodily harm but this was reduced to assault. The incident arose at a nightclub in town where the accused and victim got into an altercation. The accused swung her high heel at the victim and the tip of the heel hit her head. She collapsed and blacked out. She was rushed to the emergency unit where she received 6 stitches to her head. Compared here, the injury there was more severe. It had all signs of a s119 CA charge. The accused was discharged without conviction. 71. As stated in the SOF there was a second assault but the victim on reflex saw this and blocked it with his hand. There was a threatened punch as well but this was evaded. I note the Defence did not have any issues with including these facts in the SOF. None of these however formed the basis of any charges against you Fepuleai and I note other charges were dismissed in the Supreme Court. But I agree with the Prosecution it does go to the totality of the offending. 72. It is true that perhaps alcohol might have played a part disinhibiting your good senses. But the voluntary consumption of alcohol is never an excuse for the commission of any crime especially for someone of your caliber. It is certainly not a mitigating factor under s7(3) SA. High expectations are placed on you by members of our Society. You should have known better. It is the CEO’s job to ensure his staff including the victim is doing what tax payers are paying them to do. 73. As alluded to above, I accept there was an element of provocation albeit of a low degree. You retaliated in the heat of the moment. You were obviously angered and insulted by the victim’s response when you asked him why he was still drinking but instead of replying properly he laughed. But your reaction suggests it was not trivial to you as you had questioned the propriety of the victim drinking on the job especially since members of the judiciary and staff were there and he should have considered their safety first. You must have felt you had a moral duty to tell him off. So the victim’s response is blameworthy in that sense but on a lower scale. Perhaps if he mumbled an apology instead who knows, this might not have happened. But as I said before it does not exonerate your conduct. 74. I also note that despite the incident, the victim continued to work which tells me two things. One, he was not incapacitated from the injury which as I said was not serious and two, he did not lose his job nor disciplined. If anyone is taking the whole blame for all this it is you and you alone and you have accepted with humility you were wrong. 75. This brings me to the mitigating factors in your favour including your personal circumstances. You are now 49 years old, married with children, a church deacon and matai of your family and village. You have had an unblemished record as a law abiding citizen until this offence. You were raised in a good family environment where education was encouraged. You are a high achiever with 5 qualifications in your name. I have no doubt you persevered years of studies to get to where you are. After each degree you return home to serve your bond and give back to the community as a public servant. Your other two qualifications via correspondence were attained whilst in full time employment. Except for your two year stint in the private sector, the majority of your employment history is in the public service holding key leadership roles. You are currently the President of the LTC, a role that is at the apex of that Court. In that role you have presided over more than 300 LTC cases reflecting hard work and dedication. 76. You remain a loyal public servant throughout your adult life and an invaluable asset to the ministries you served and community. This is also echoed in the 9 character testimonials submitted on your behalf from those of good standing in the community attesting to all your outstanding qualities. Senior pastor Samoa Unoi sums it up well when he said “besides all the natural traits of a great leader which I have observed in him, what blesses my heart most is that he has a faithful and loyal heart”. A common theme is evident in your references reflecting that you are, to list a few, quiet, unassuming, humble, loyal, hard working, a doer, high achiever, courteous and respectful, a leader, and faithful Christian. You are a public figure who made a grave error of judgment. It reminds us all that no one is perfect or 100%. As humans we err. The offence is out of character. 77. At the time of your appointment as President, you were a senior member of the legal fraternity and issued a practicing certificate annually. Lawyers are required by s3(2)(4) Lawyers Legal Practice Act 2014 (“Lawyer’s Act”) to observe the rule of law and facilitate the administration of justice. The rules of professional conduct and ethics also require that members uphold the integrity of the Bar to the highest standard. As President of the LTC you are expected to observe the above and uphold the integrity of the judiciary. 78. You pleaded guilty, demonstrated contrition including apologizing personally to the victim and publically today in Court. You have suffered immeasurably and regret this incident. You are regretful of letting everyone down including your close family, staunch supporters, government leaders and judicial colleagues who look up to you and the important role you hold. You also regret bringing the name of the judiciary and Law Society into disrepute due to your loss of self control. Like other accused you have had to appear at each calling of this matter and stand in that dock which in itself is a humiliating experience. You have been crucified and stigmatized publicly at the highest level, suffered ridicule and subjected to adverse publicity which is punishment in and of itself. 79. You removed yourself from your role as President so the integrity of the judiciary is upheld and spare it from further public humiliation. According to your PSR, you self-referred yourself to spiritual counseling and encouragement to address your anger problem. Pastor Unoi Samoa vouched of an inner change in you. 82. Put simply, to meet the test it is sufficient if the Court is satisfied there is a real and appreciable risk that such consequences may occur. There is no onus of proof on the Accused. The test is simply the Court must be satisfied. It is expected however that those seeking a discharge would place before the Court sufficient information for the Court to assess this. But a Court may also take judicial notice of facts and rely on its own direct knowledge. 83. Your counsel argues that there will be substantial hardship on you if a conviction is imposed. This is further highlighted in your affidavit. Prosecution contends there is no such hardship as you should have thought of this before inflicting the strike. Prosecution however did not file any material of substance to rebut your affidavit which remains unchallenged in that sense. I also note your affidavit does not downplay your role in this incident. It deposes that you intend to step down from your role as President if a conviction is entered. 84. But even if you do not step down, I accept what you said that the JSC will move to terminate your employment. I believe that is the natural progression of things if a conviction is entered as the job you hold goes to the epitome of the due administration of justice in this country and it is essential that you maintain good character and observe the rule of law. Your continuing to hold that post with a conviction in your name will in my respectful view, expose the judiciary to more public ridicule and bring its dignity into disrepute. 85. 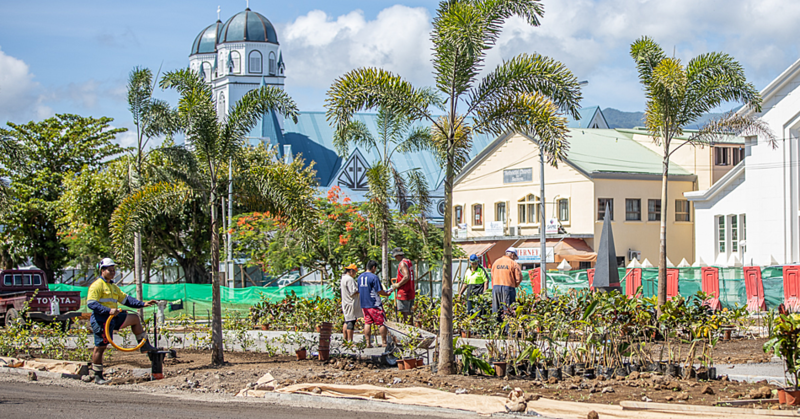 The nature of your post under s26A Lands and Titles Court Act 1981 requires that you have the qualifications similar to those of a Supreme Court judge under Article 65 Constitution or a Samoan judge under s28. I need not say more about this suffice to say for the former, the qualification is quite high and arguably imputes only those best deemed to fit the qualification will be appointed. I am well aware of the process involved in being a judge. I accept there is a real and appreciable risk that your service as the President of the LTC will be terminated if a conviction is entered. 86. A corollary to this is the possibility that you may not be able to practice law. I know this is not pure conjecture or just some fanciful speculation. As a former member of the Law Society I was actively involved in the Law Council for 10 years up to my appointment as a judge last year in March holding the roles of secretary /treasurer, vice president and acting president. I am well aware that the good character of any lawyer is a crucial requirement that goes to the fitness to practice vetted by the Law Council prior to the admission of a new member and before an annual practicing certificate is issued to an existing member under s23 Lawyers Act. 87. I accept there is a real and appreciable risk that you will lose your right to practice as a lawyer, if a conviction is entered and you decide to step down from your current role. I say this for the reasons above but also because as mentioned earlier, all members of the legal fraternity, are duty bound to uphold the rule of law. I am also well aware that when a lawyer applies for a job locally or to be admitted in other jurisdictions it is a requirement to provide a certificate of good standing from the Law Council. A conviction is a relevant factor that must be considered before such a certificate is issued. 88. Similarly a clean police record is a relevant consideration. One need only look at the conviction for a 7 year penalty offence to be alarmed. The case of Meredith is a prime example where a senior practitioner was unable to practice as the Law Council declined to issue him a practicing certificate after a conviction was entered for the offence of obstructing an officer in the performance of his duties. 89. The inability to practice law was recognized as a hardship out of all proportion to the gravity of the offence as evident in P v Viane as well as P v Wilson. The former matter involved a university 3rd year law student who was charged with driving under the influence. He was discharged without conviction and ordered to pay costs. For the latter case, the accused was a junior lawyer who was charged with common assault. Judge Roma there also accepted that there was a real and appreciable risk that a conviction would end the legal career of an otherwise young and promising lawyer. She was also discharged without conviction and ordered to a pay costs. She continues to thrive at her current employment. Then there are the cases of Meredith and Vaai v AG involving two senior members of the Bar where the Courts there held it was a relevant factor to consider. Both were discharged. 90. With a conviction, other severe ramifications will naturally follow although not put forth here, including hindrance on travel and immigration applications such as a visitor’s visa especially given the maximum imprisonment penalty for this offence. There have been cases before this Court such as P v Rimoni where travel impediment was proposed as a hardship but rejected. But I am also aware of at least five other cases where this was considered as a consequence out of all proportion to the gravity of the offending. These are Fepuleai ; Paul , P v Tui Vaai to some extent Viane and Chang, Annandale, and recently Salele. Of course each case turns on its own peculiar facts and merits. 91. To further highlight the repercussions, even if you step down after a conviction is imposed, your career prospects will be acutely impeded and there is no guarantee you will be employed in the public sector again. As a further example, even if you entertain running for Parliament you can immediately put such ambitions to rest as s5(5)(b)(i) Electoral Act 1963 disqualifies you as a candidate if you have a conviction for this type of offence. 92. A conviction in my view will end your career. Put bluntly, it is a death sentence. There will be insuperable barrier to you obtaining future employment, resulting in loss of income and other related hardship. Yet you are at the prime of your life with obligations and a dependent child to raise. This offence is plainly out of character for a highly reputable member of the community. Are the consequences out of all proportion to the gravity of the offending? 93. Balancing the above, I conclude that the consequences of a conviction will be out of all proportion to the gravity of the offending. 94. Having said this I will now turn to consider the residual step under s69. Should the Court exercise the discretion under s69 to discharge without conviction? 96. The above principle of law related to the repealed s42 NZ Criminal Justice Act 1954 later replaced by s19 Criminal Justice Act 1985 and subsequently ss106 and 107 NZ Sentencing Act 2002. However, it still applies today and has been referred to by my other learned colleagues in their sentencing decisions. 97. NZ adopted the approach in Blythe v R where it stated that the sentencing principles and purposes must be considered in their s106 if a court finds that the disproportionality test is met under their s107. This was followed in Devey v Police and I adopted it in Salele and other cases referred here. So I remind myself of the sentencing principles and purposes in ss5 & 6 SA. “If a conviction is going to result in an absolute bar to the offender gaining entry to some profession or career then it may well be appropriate to ameliorate that consequence in an appropriate case by declining to enter a conviction”. 99. I do not see this as an exceptional case such terminology will not assist. The test is the test and as I keep saying, each case will turn on its own facts. Also if compared with the Supreme Court matter of Fepuleai where the accused faced charges of ABH and armed with a dangerous object namely a pipe, there, Justice Vaai discharged without conviction the accused and ordered her to pay prosecution costs of $1000. Yet in comparison, it is arguable that that case had more aggravating features. Firstly the accused had denied the charges. The accused had used the pipe to strike the right parietal head area of the victim resulting in his sustaining a 2 cm wide and 1 cm deep wound requiring two stitches. It went to a defended hearing where the accused was found guilty. In sentencing, Justice Vaai observed that the whole incident could have been averted had the accused exercised maturity and common sense and not succumbed to the accusations of her drunken adult son who had just punched his mother in law in the face. The learned judge observed the accused was overcome by anger and provoked. But she was at the end of the day a loving grandmother and mother to her children who resided overseas and he saw a conviction as hindering her ability to travel to visit them. 100. 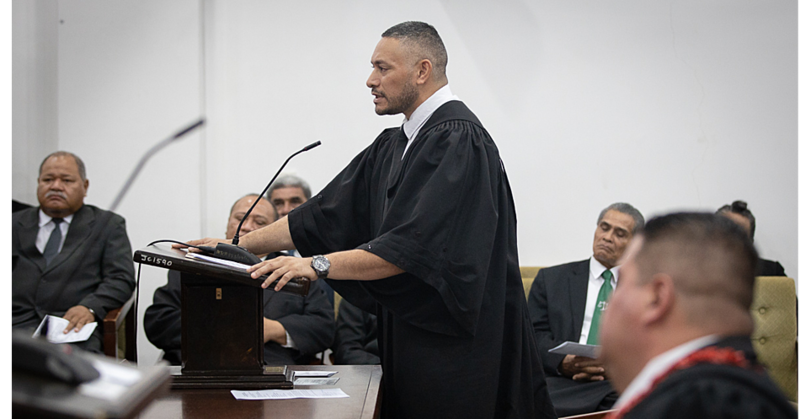 Prosecution here argues that Fepuleai is distinguished as it involved a domestic dispute, whereas in the instant case, there is an element of exercising authority. I do not accept that argument. Just because the incident in Fepuleai occurred in a domestic setting does not make it any less severe than the present. In fact, it is worse in my opinion. 101. Similarly, in the case of Salele a sentencing decision I delivered on 12/04/18, the accused was charged with an analogous charge as here plus armed with a dangerous object (iron). I discharged without conviction the accused who is a doctor by profession and ordered her to pay costs in the total sum of $600. There the dispute arose in a domestic environment as well. The accused had caught her partner also the father of her children at home in their bed with the victim. An altercation ensued and it ended in her throwing an iron at the victim causing a puncture wound to the pre-auricular area of her left ear of about 1x1 cm with minimal bleeding. The wound was sutured under local anaesthesia. An x-ray was also done but it was unremarkable. The victim was discharged on oral antibiotics and pain relief and advised to return within a week’s time to remove the stitches. 102. I took into account inter alia, as ameliorating the gravity of the offence, the significant degree of provocation from the victim who was equally culpable given her tormenting conduct; the same as the partner. I also saw the accused as a victim herself and there were other factors. The accused had put fourth that a conviction would cause hardship out of all proportion to the gravity of her offending in that she was in the process of applying for a scholarship to study a masters degree and a conviction would impede her ability to secure this given a clean police record was a requirement. A conviction would also hinder her ability to travel and would mean an end to her career as a doctor given good character is a requirement. I confirmed this from the Healthcare Professions Registration and Standards Act 2007 where s18A provides for the automatic revocation of registration of a healthcare professional if convicted of a serious offence. The offence she was charged with as here, is serious and at the highest of the criminal jurisdiction of this Court. 103. Then there is the case of Paul , as discussed earlier. Judge Roma observed that tension was high and there was some provocation. Nevertheless he accepted that a conviction would hinder the ability of the Accused to travel to promote their hotel overseas and continue her tertiary education. Again compared to the present case, the gravity of the offending there and injuries sustained was more severe. But nevertheless the charge was reduced to common assault and the accused was discharged without conviction upon payment of court costs. 104. Here, a conviction is an absolute bar to you Fepuleai continuing with your legal career and public service. You stand to lose inter alia your livelihood, career and reputation. As I said earlier, the circumstances taken in its totaling, qualifies for the exercise of the residual discretion for a discharge without conviction under s69. But I am not just going to let you walk away without any form of penalty as that will not be in the public interest. It will also send out the wrong message causing public uproar. 105. As alluded to above, I must here pay due regard to the purposes and principles of sentencing. It is important that you be held accountable for your conduct. Section 69 (3) SA gives the Court discretion to order costs where an accused is discharged without conviction. I intend to exercise this here as a form of deterrence and denouncement. 106. I accept there is no risk of reoffending so subjective deterrence is not much of a concern. But what I do have in mind is denouncement, holding you accountable for your conduct and rehabilitation. The message that must be sent out is that neither the Court nor the public condones your conduct. I repeat, there is a lot of expectation on you. I also bear in mind the guiding principles of the Community Justice Act 2008 which promotes the desirability of keeping offenders in the community so far as that is practicable and consistent with the safety of the community. You are not a risk. So the sentence I pass is two tranche. 107. At the time of your offending, this Court had already commenced its Alcohol and Drugs specialized Court (“ADC”) which offers a number of therapeutic programmes to certain offenders and you fall for consideration there. I note the involvement of alcohol and anger in your offending and it is crucial that you receive treatment for this apart from the counseling sessions you have undertaken with Pastor Samoa. This is the rehabilitative aspect of your sentence. 109. At the end of the day you are a son to your proud parents, a loving father to your children and husband to your wife, a brother to your siblings, a relative and loyal friend to all those close to you. You deserve mercy. iv) Probation costs of $100 to assist with ADC programmes. 111. Upon payment of these costs by next Monday, 14/05/18 you will be discharged without conviction. This is equivalent to an acquittal. 112. You are also ordered to attend four (4) one on one sessions to address your alcohol and anger problem. These sessions are to be conducted by Luamanuvae Toma Petelo of the ADC team at times suitable to the both of you. 113. I wish to convey my faafetai to both counsel, Ms Titi and Mr Leung Wai for your submissions.